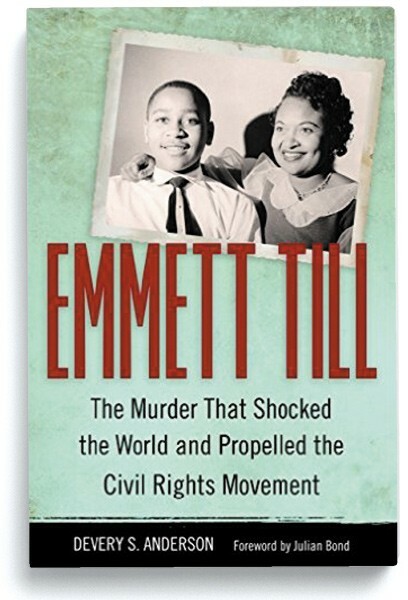 The death of Emmett Till is widely regarded as a central moment in the civil rights movement. The 1955 kidnapping, brutal torture, and murder of the 14-year-old Chicagoan, targeted by two white men for allegedly whistling at a white woman in Money, Mississippi, marked a turning point and catalyzed the growing awareness of racial discrimination in America. In the wake of the 60th anniversary of Till's murder, it's startling to realize that for decades his story was largely untold, particularly in the Mississippi Delta, where African-Americans discussed the affair only in whispers out of fear of retribution. That's the most surprising revelation in Devery S. Anderson's Emmett Till: The Murder That Shocked the World and Propelled the Civil Rights Movement, a book that comprehensively captures the story's lasting impact in the decades after Till's killers were acquitted by an all-white jury. Digging deep into the numerous accounts of what transpired, Anderson examines the varied perspectives of those involved in this highly contentious case, including members of Till's family who witnessed the kidnapping. While these stories and those of the trial can be fascinating, the text's meticulous focus on fully exploring the confusion makes for slow reading, perhaps a necessary sacrifice to honor the murky accounting of the events leading to Till's death. But the book quickly picks up steam as Anderson unpacks the significance of the murder in its day. It was Mamie Till-Mobley's decision to keep her son's casket open at the funeral, with the ghastly projection of white violence etched into Till's disfigured face, that pushed the growing civil rights movement forward. While that's easy to grasp in a pat historical narrative, it's the details Anderson uncovers—such as the fact that Rosa Parks made her courageous decision to not leave her bus seat four days after hearing a speech about the murder—that tie important threads together, giving the story its proper historical importance. Yet despite Till's centrality to our current understanding, his story was largely out of public consciousness for decades, only to reemerge as its weight in history became clearer. Anderson traces the determined efforts of filmmakers, lawyers, civil rights activists, and Till's family in reigniting interest in his case, culminating in a FBI-led investigation nearly 50 years later.